The Global Music Awards has presented a Gold Medal Award of Excellence as a GMA Book Award this year to the book that has been judged as exceptional in the field of music. I’m very proud that my book, A Composer’s Guide to Game Music, has received the GMA Book Award! As the GMA Book Award winner, A Composer’s Guide to Game Music has been awarded the Global Music Awards medallion. The GMA medallion was designed for the GMAs by the Northwest Territorial Mint, creators of the official US Presidential Inaugural Medals, the Medal of Honor, the National Medal of Science and the Pulitzer Prize. GMA Awards feature the art of Thomas Hart Benton, who is considered the “Mark Twain” of American art. 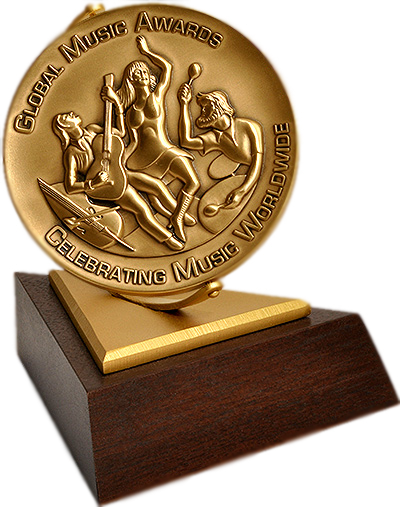 The Global Music Awards is an international awards program honoring the music industry through the recognition of unique voices and talented international musical artists. Thanks so much to the judging panel of the Global Music Awards for this wonderful honor! I’m very excited to be a recipient of the GMA Book Award! This entry was posted in Game Music and tagged A Composer's Guide to Game Music, Book Award, game music, Global Music Award, Global Music Awards, GMA, GMA Awards, GMA Book Award winner, Gold Medal, Gold Medal Award of Excellence, Music reference book, Northwest Territorial Mint, The MIT Press, Thomas Hart Benton. Bookmark the permalink. A second printing (ALREADY!!) 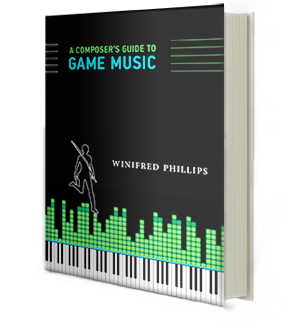 for A COMPOSER’S GUIDE TO GAME MUSIC!